James Bond Quiz : How Much You Know About Him ! Home/ Art and Culture / Movie / James Bond Quiz : How Much You Know About Him ! 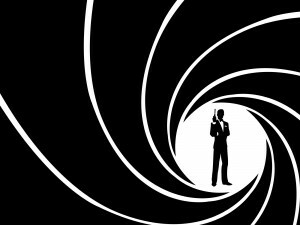 The fictional character of James Bond was created in 1953 by writer Ian Fleming. The Bond character was used by Ian Fleming in his twelve novels and two short-story collections. Apart from Fleming, seven other authors have written authorised Bond novels or novelizations since Fleming’s death in 1964 They are Kingsley Amis, Christopher Wood, John Gardner, Raymond Benson, Sebastian Faulks, Jeffery Deaver and William Boyd. Additionally, Charlie Higson wrote a series on a young James Bond, and Kate Westbrook wrote three novels based on the diaries of a recurring series character, Moneypenny. Click Start Quiz button to test your knowledge on James Bond: How Much You Know About Him! What was the name of the first Bond film? Which Bond film is set primarily in Japan? What does the “00” signify in 007? What was the first film in which we saw James Bond on skis? How many times did Timothy Dalton play James Bond? In which city is Bond “killed” at the beginning of YOU ONLY LIVE TWICE? A crocodile escaped during the making of which Bond film? Which Bond film has recorded the biggest figure at the international box office? Which film propelled the James Bond stunt team into the Guinness Book Of World Records with the Astro Spiral jump? What was the name of James Bond’s boss? M is the Head of Secret Intelligence Service — also known as MI6. In the Eon Productions series of films, M has been portrayed by three actors: Bernard Lee (1962-1979), Robert Brown (1983-1989) and Judi Dench (1995-present). A quick 10 Questions Quiz on Tintin – Your Childhood Friend Character !